GeckoForums.net - A female leopard gecko from the collection of Carpe Gecko became egg bound, but was able to survive with veterinary care. See photos of mom and two of her gorgeous sons in these nice photos. GeckoForums.net - A beautiful leopard gecko at Snowbug’s Geckos smiles nicely for a few photos. 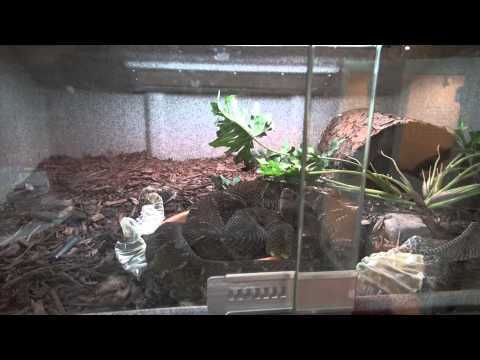 YouTube - Check in with Viperkeeper Al Coritz as he does some routine maintenance on his venomous snake collection. Reptile Insider - A sweet breeding season wraps up for this boa constrictor breeder with a neat hypo Arab x pastel dream jungle litter.